1)The fish photo will be scrolling with light when powered on. 2)Great decorations for any home and office. 5)It's very suitable for decorating home or office and you can send friends as gifts. 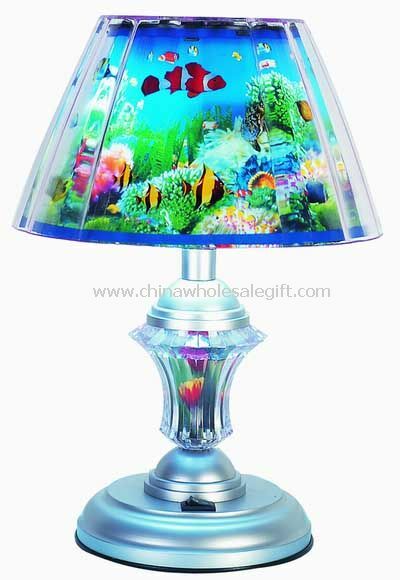 6)High quality and novelty fish lamp with picture moving and lighting. Fashionable design and creative decoration effect. 9)High quality at reasonable price is our competitive point. If you want to make custom Light Table Lamp with your logo,slogan,telephone,website,email , please send us your design or give us instructions about your imprint.We'll send a free virtual art proof for your approval,you can ask a real sample with logo before production too. Our Light Table Lamp is popular as promotional,advertising, business,corporate gifts.